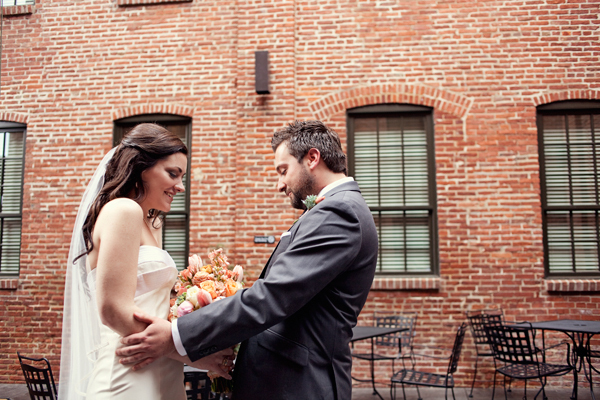 We’re inching toward the end of the week but before we get excited about the fact that tomorrow is Friday, I want to share with you Dawn + Rennie’s gorgeous urban wedding. 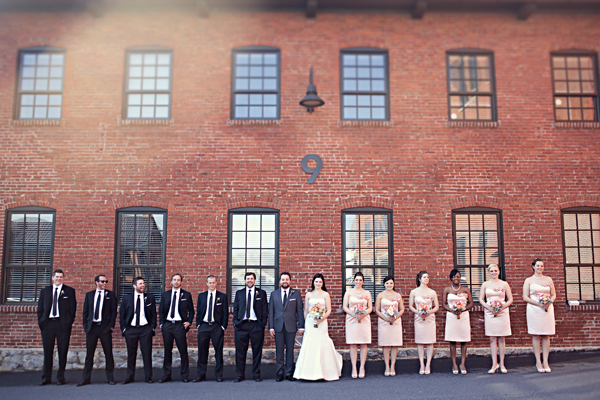 The couple tied the knot at the Cork Factory surrounded by friends, family and tons of candle light. Dawn’s mother design and created most of the ceremony details. Can we also focus on that gorgeous altar? It’s quite stunning to say the least. The Jersey in me can totally appreciate and love the "The Boss" table centerpiece. Oh wow! 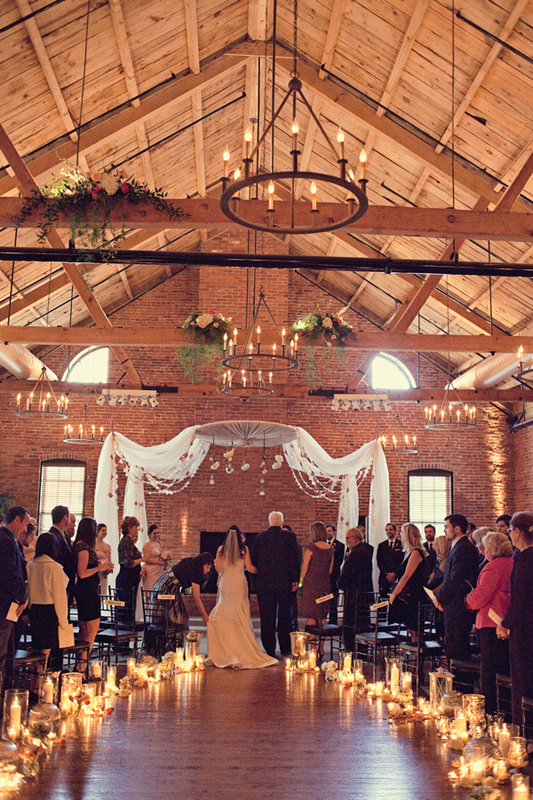 love everything about this, the venue, the attention to lighting, the altar! and the bride shoes! 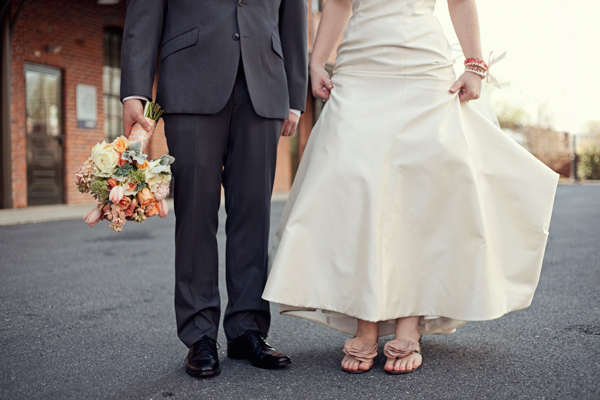 love a bride in flats, a girl after my own heart... what a stunning wedding!! Wow! 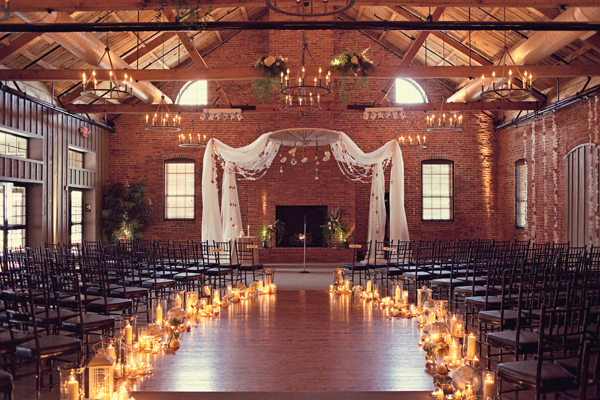 I'm in love with that ... the aisle with the candles is gorgeous. What a talented mom!! Those florals are amazing!!! The candlelit ceremony is quite fantastic as well. where to start? 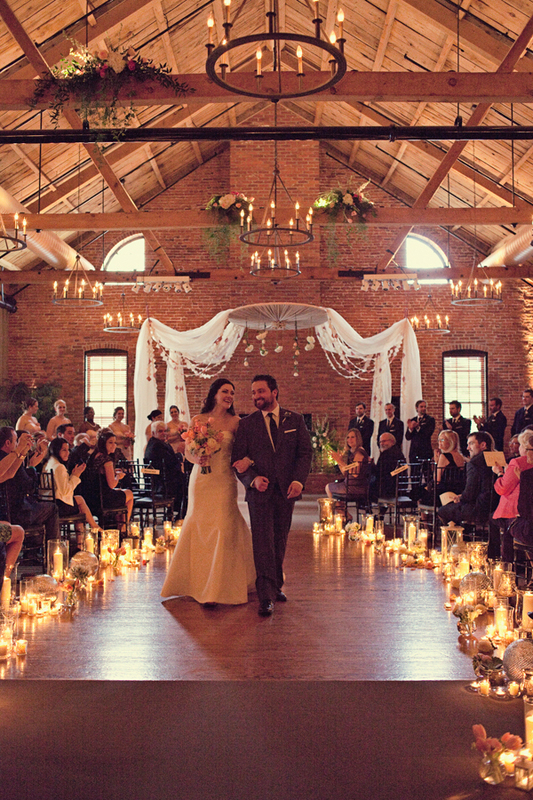 The altar, the aisle, the bouquets...gah, this is whimsy & romantic at its finest. Beautiful event!! Gorgeous! Those bouquets are phenomenal! I am OBSESSED with that aisle decor. Wow. And those bouquets?????? I am completely head over heels. oh! I was smitten with the bridesmaids flowers and then kept scrolling through the pictures - I came to the candles surrounding the ceremony and reception tables and was blown away! How gorgeous! And kind of an inspiring idea for a romantic dinner with the hubby...say for a 1st anniversary? ;) Pretty pretty! OMG the candles for the aisle decoration are stunning... everything is so beautiful!! whoa..amazing venue! 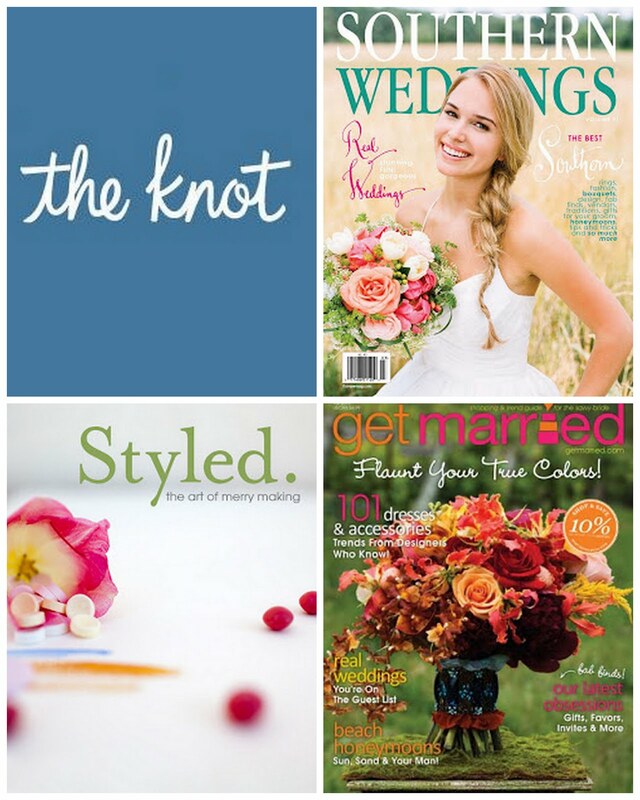 love those bouquets too! 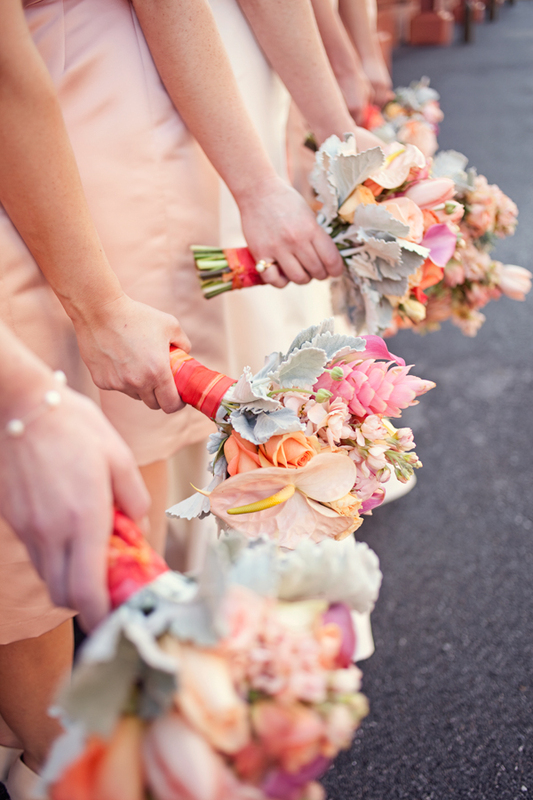 Um those peachy bouquets are RIGHT up my alley!! 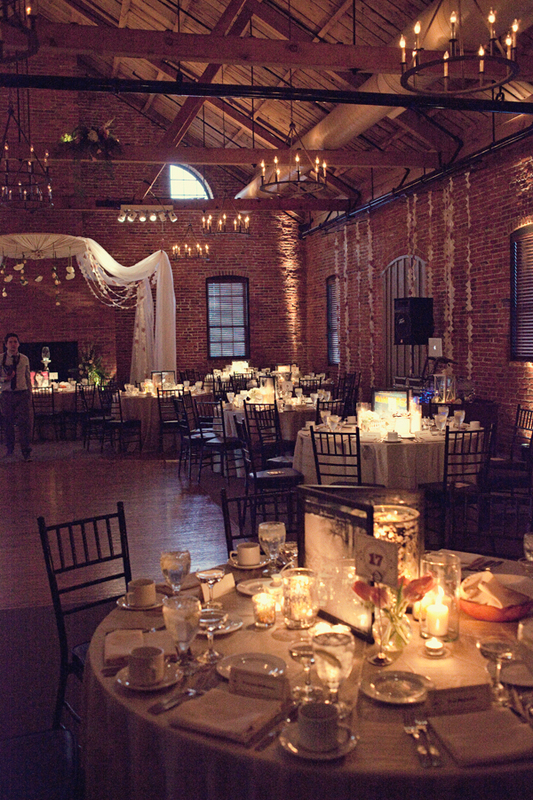 I love the ceremony space too!! 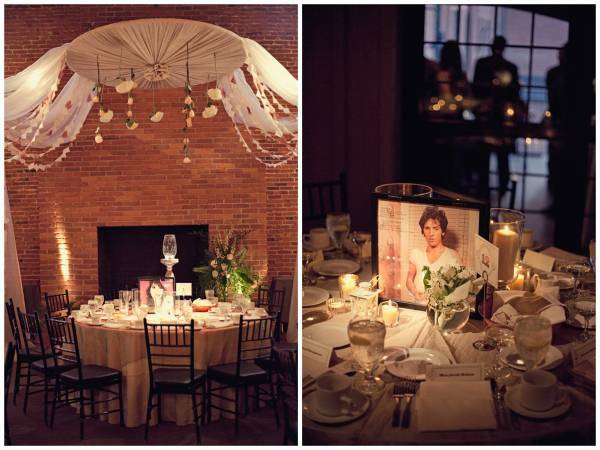 Too often we see such an emphasis on the reception space + not the ceremony itself! The candlelight is breathtaking! Just stunning... all of it. At night with the tables - beautiful! This venue is amazing! 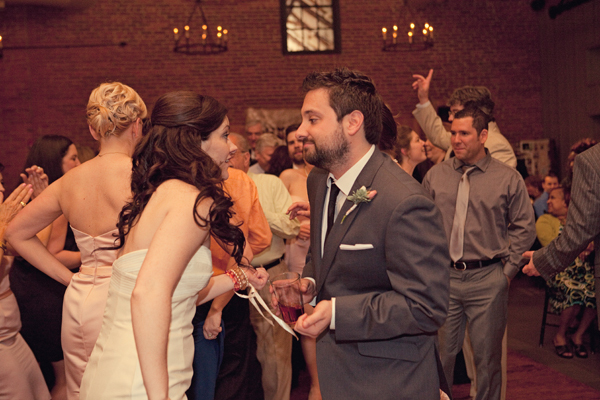 This is how a top notch wedding is supposed to be designed. Yay!! So happy to see these posted! Also, everyone seems to love the flowers which were by Splints & Daisies. What a gorgeous wedding! 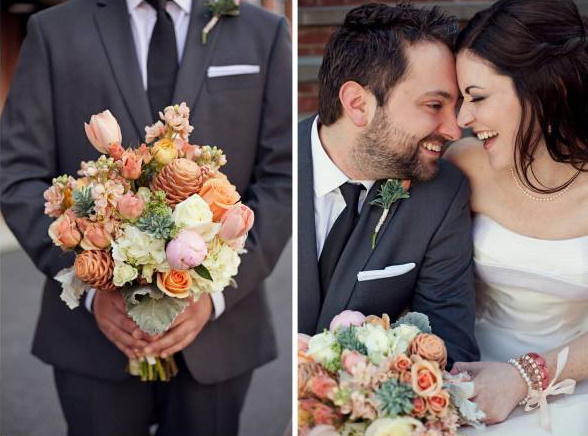 The flowers are stunning, the venue is incredible and these two just look so joyful! 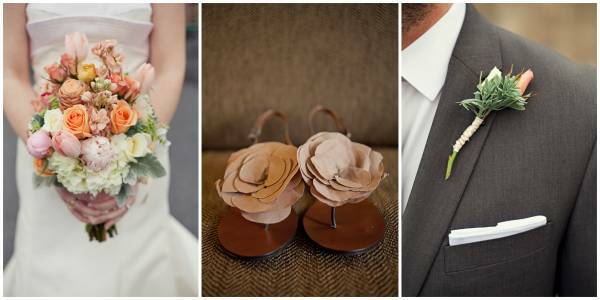 those bouquets are soo utterly amazing!!! The venue is the most amazing part of the wedding. Its FABULOUS! 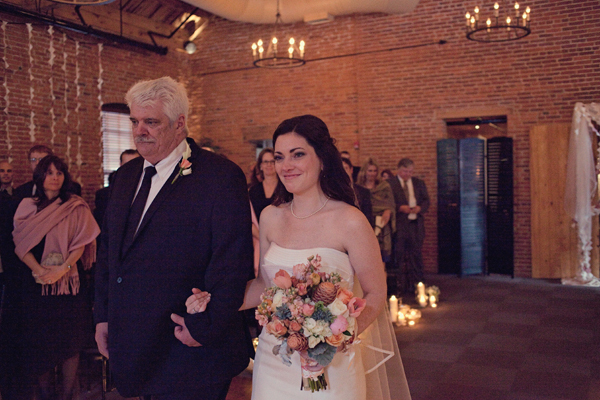 Beautiful wedding, and those candles, I die. Amazing. WOW! At the risk of being redundant, that is one INCREDIBLE ceremony venue. Those bouquets are really unique, too! Beautiful colors! 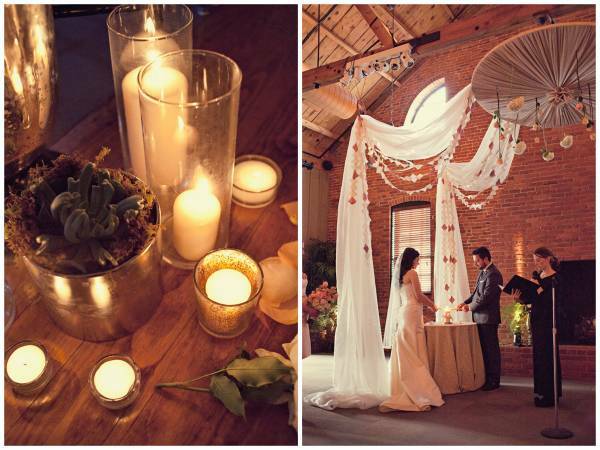 This ceremony looks beautiful, I love all of the lighting and draping. The ceremony looks absolutely amazing, love the candle effect!!!! What a beautiful wedding! Amazing pics... I appreciate the photographer skill and his sight of vision. Great job !! !